So far I have built 3 mobile tool stands. Two of them are similar to each other, it is a simply design with the bench top tools mounted to the top and drawers/ shelves below. And the third mobile tool stand is based on a design in a magazine with a flip top table. 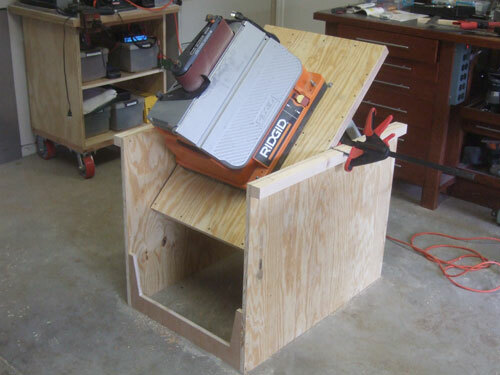 Basically you have 2 bench top tools mounted to both side of the table and you could rotate the table to access either tool. Here you can see the two halves of the plywood table top with the dado edge. In the dado I will attach a strip of hardwood to give the table top some added support. In between the two table top is the shaft it rotates on, I used a dado to cut the notch. This is how the flip tip looks like; there are still a lot of work to be done. 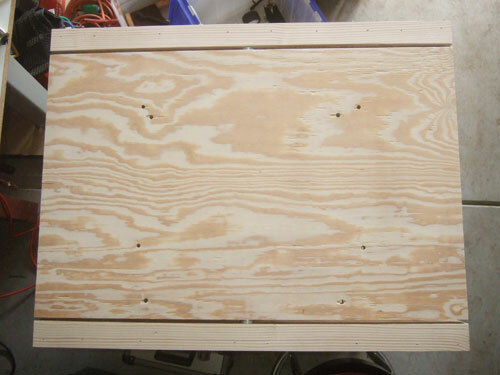 Looking back at all the problems I encountered and the lesson learned is; make sure you buy a piece of plywood that is flat. 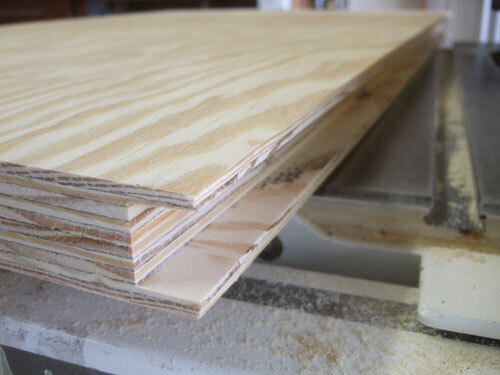 You can pretty much use any plywood and I found the cheapest and thickest thing I could find at Home Depot. The wood that I got is called Sturd-I-Floor that is 23/32 thick and it is smooth on one side and rough on the other. 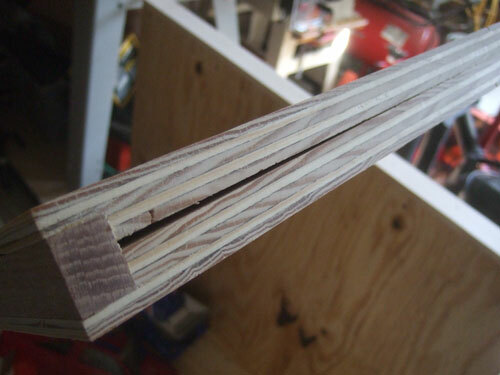 The initial problems I had with wood being warped is the cutting on the table saw, especially with the dado cuts. I did not know the cuts was so off until I started to glue the pieces together. And the worst part is the 2 walls that the fliptop table rests on was so warped that the ends rub against the table when I rotate the tabletop. If you look at the table from a birds eye view the 4 comers was curved inwards causing it to touch the rotation table. 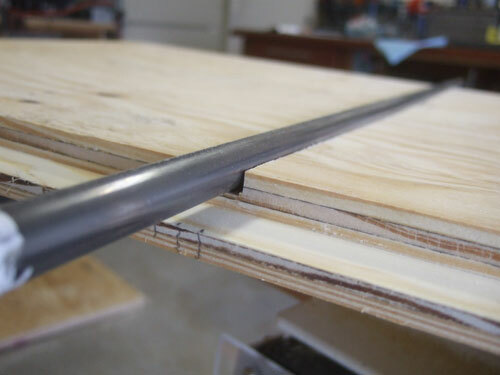 In the picture below the problem has be eliminated because I add the extra wood to flatten the wood, preventing it from warping inward. Here is the bad dado cuts, I though the depth of the cut was even though out the plywood. But the warp in the wood causes the depth to vary between the middle and ends.